Before establishing her own mobile notary service, Laura Biewer was both a successful business owner and corporate executive. Laura began her career in the food processing industry as a Quality Assurance Officer. Her job required ensuring compliance not only with company quality goals but federal and state regulations. The most compelling part of this work for Laura was protecting the public and ensuring the integrity of the company’s products. After 15 years in that industry, Laura made a change that would lead her closer to working with the public and joined MedicAlert Foundation®, working for 7 years in operations management before serving two more years as Vice President, with chief responsibility for their emergency call center response team. Her growing interest in serving those who needed extra protection or accommodation inspired her to establish her own assisted-living facility for seniors, Lea’s Place, which she operated for almost five years before successfully selling. While operating Lea’s place, she observed these clients had documents needing notarization but found it difficult to find a notary to come to the facility. Extra time, special skills and accommodation needed created a road block in securing this service. The obvious answer was to become a notary herself and in 2004 brought her commitment of service to the office of the notary, providing notary services not only to her clients, but all facilities in Modesto. Once realizing how many people were in need of mobile notary service for whatever their reason, she knew more could be done. Laura expanded her notary services and became certified as a signing agent to provide signing services to any person who could not bring their documents to a notary. Laura decided the office of the notary was her calling and dedicated her full attention to serving the public in many ways as a commissioned public official. Adding to her direct services as a notary, Laura realized how important it was for those seeking the office of Notary to be confident but more importantly competent to fulfill the vital role Notaries play in deterring fraud. She qualified as a certified instructor for the National Notary Association in 2006. This gave Laura the opportunity to influence the quality of live training offered to thousands of California candidates who have taken her class. By 2010, her level of expertise was recognized, and she was invited to participate in the development of revised training which was then used by many other instructors helping to further her message of protecting signers and ensuring the integrity of their documents. However, Laura still saw a gap between training and ongoing education. There is no continuing education requirement during the 4 year term of office for a notary; however law changes and interpretations continue to arise. Laura’s commitment to supporting notaries after the class caused her to start providing one-on-one mentoring to notaries and loan signing agents, and share her knowledge on advanced notarial topics and business practices via workshops she organizes and facilitates in the Central Valley as well as national webinars on behalf of the National Notary Association. Today, Laura is sought out as a personal notary coach, taking on clients who want to build their own small business serving individuals and companies as a notary signing professional. A natural extension of Laura’s outreach to notaries and the public who use their services put her in demand as a speaker for notary conferences, nonprofit organizations and business association meetings; she received the honor of Notary of the Year Special Honoree in 2009 by the National Notary Association. Laura’s professional career has given her a versatility rarely found. Now, Laura is At Your Service, seeking opportunities to serve clients who value business acumen, eye for detail, and a caring attitude. Trust Laura to handle your notarial needs. 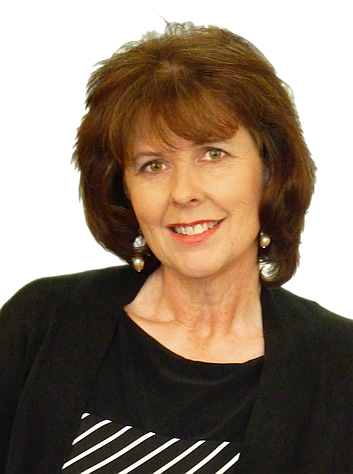 Hi there – I was on Bill’s call today (isn’t he just awesome – love him he’s been so good to me – I Corinth-hosted a call with him earlier this year too) anyway I just personally wanted to say thank you for being on the call I learned a lot today. I’m also looking for an additional notary to have in my back pocket in case of emergencies questions LOL. Would you be available as a mentor for me if I get in a bind and can’t get a hold of anyone I’d like to have several folks on back up and my last mentor has decided to get out of the business. More than likely I won’t be calling but it’s always good to know that I have an industry expert that I could reach out to if necessary. And by the way my name is April San Miguel and my mobile notary business is Denton Notary to GO and Denton Texas. I started my mobile notary business a year ago and It has been incredibly rewarding in so many unexpected ways!!! April, I think I am in many hip pockets these days! I am happy to accept your occasional ER calls for questions. Hi Laura, I spent some time with my friend and yours, Stacey McWells today, and she is pretty awesome. We agreed that God placed us together because we had so many places and things in common. I am looking forward to my new adventure and can’t wait to meet you. I am going to sign up for your class in Modesto on August 8. Up, up, and away!! Hi , I have taken two of Laura’s classes, and they are awesome. Laura is a excellent coach, I enjoy her professional knowledge and her willingness to teach other notary what other avenues are out there. Once again Thank you Laura.